The transportation industry continues to defy the slump in the economy because there is always a significant need for the trucking industry to transport food and consumer goods across the country. 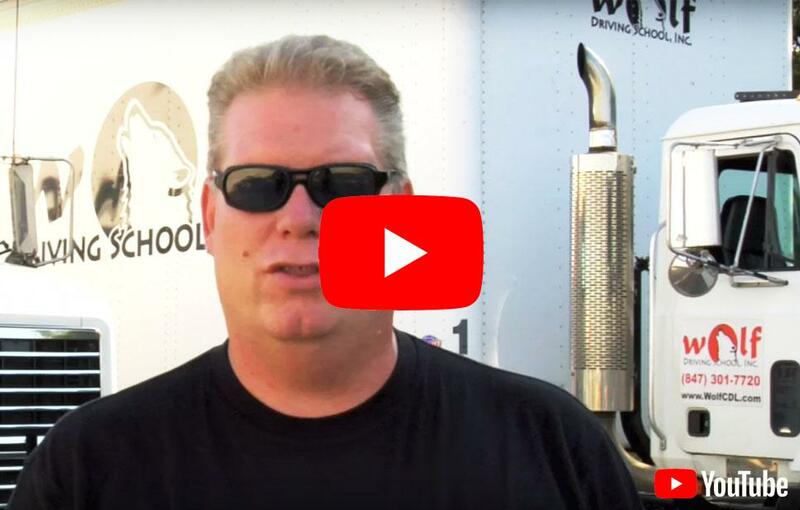 Wolf Driving School realizes that in spite of economic hard times, there’s still a need for Mount Prospect residents to enroll in CDL Training at Wolf Driving School to become truck drivers. The pay is a big factor. Many of our first year drivers earn about $35,000. Before long, that can increase to between $45,000 and $50,000. In addition, veteran drivers who have their own trucks can earn about $100,000 a year. Wolf Driving School has been providing CDL training and truck driver training to Mount Prospect residents for many years. We also offer additional endorsements such as: driving tankers, triples, passengers or hazardous materials. Wolf Driving School’s basic values are: Honesty, Reliability, and Quality. Our instructors are only the most highly-skilled and professionally-trained in the industry. Wolf Driving School also owns and operates only the most reliable and safe equipment in the industry. We also offer flexible scheduling of our CDL training and truck driver training classes for the convenience of our students. Wolf Driving School endeavors to assist our students in achieving their goals and objectives so that they can become successful, safe, and confident drivers. Mount Prospect , Illinois is a village in Elk Grove and Wheeling Townships in Cook County. It is approximately 22 miles northwest of downtown Chicago. Mount Prospect has a population of about 54,270, with 21,103 households. The median household income of its 21,103 households is $82,448. Mount Prospect possesses a strong base of both retail and professional businesses, and it is a vibrant community that has much to offer, while, at the same time, retaining its small town charm. It serves as home to several major national and international businesses. The Department of Commerce and Economic Opportunity has actively worked to capitalize on Illinois' strengths as a center of transportation, manufacturing and technology development. The state's business-friendly policies, highly productive workers, and entrepreneurial spirit helped it to win Site Selection magazine's Governor's Cup as the top state in the nation for business development. With that kind of growth in the retail sector, there has been an increased need for CDL licensed truck drivers. Many of Mount Prospect’s residents have been enrolling into CDL training/truck driving training classes at Wolf Driving School. Those are just some of the reasons why residents of Mount Prospect and other Illinois residents are signing up to take Wolf Driving School’s CDL Training and Truck Driving Training. In addition to better wages, trucking gives you the opportunity to explore the country. Also, with truckers delivering about 80% of all our products, they provide an important service to our nation. With Wolf Driving School, the citizens of Mount Prospect can get their CDL training and truck driving training and we will help them get a job. Call to enroll in our CDL training/truck driving training classes, today. You will be glad you did! !